Can you please show some shots of how you mounted the 2nd row seat? Any challenges fitting it? I haven't started that yet. 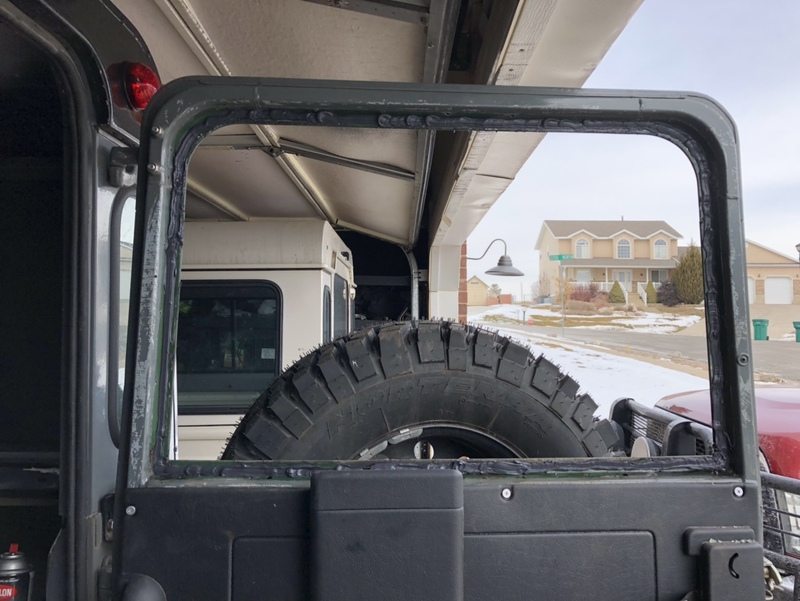 I have one rear door that is still stuck closed. 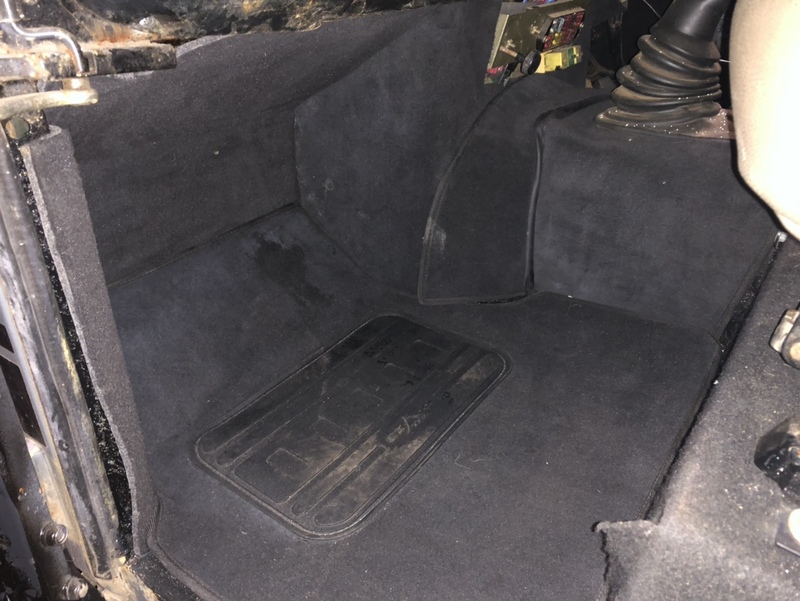 So once I get that fixed, I'll do the back seats. And show how to do it. So did a bunch today. 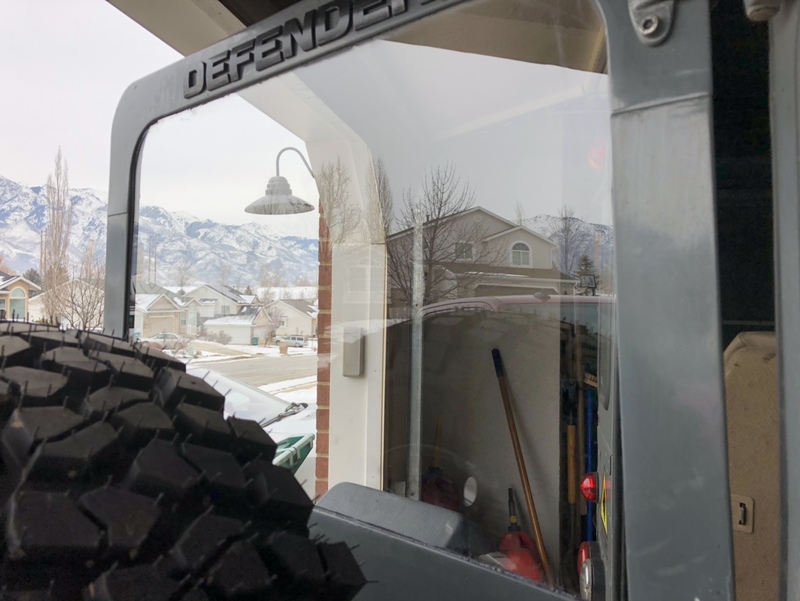 Mostly worked on door seals, vent seals, carpet install and I took the winch off my Range Rover and put it on this Defender. And probably a bunch of other things I’ve forgotten I did already. We will start with carpet. Hopefully this will cut down on the tin box feeling. 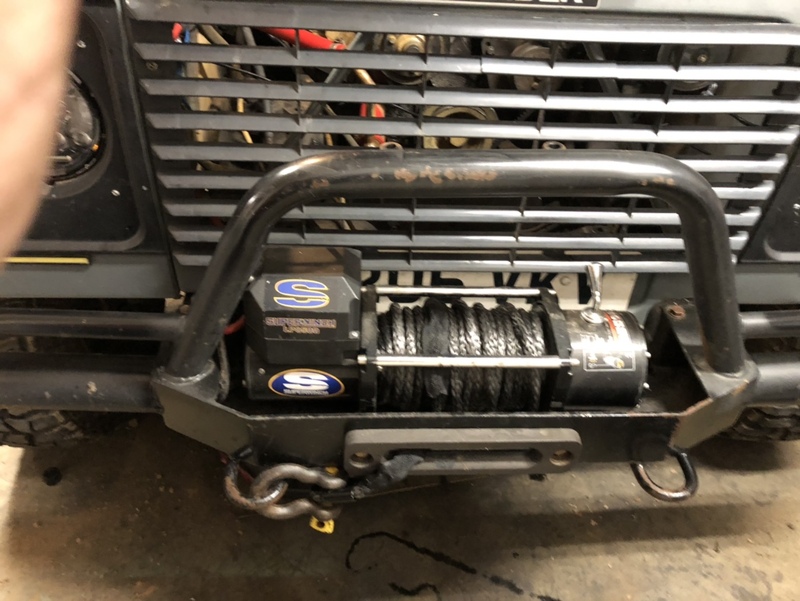 Next up the winch. 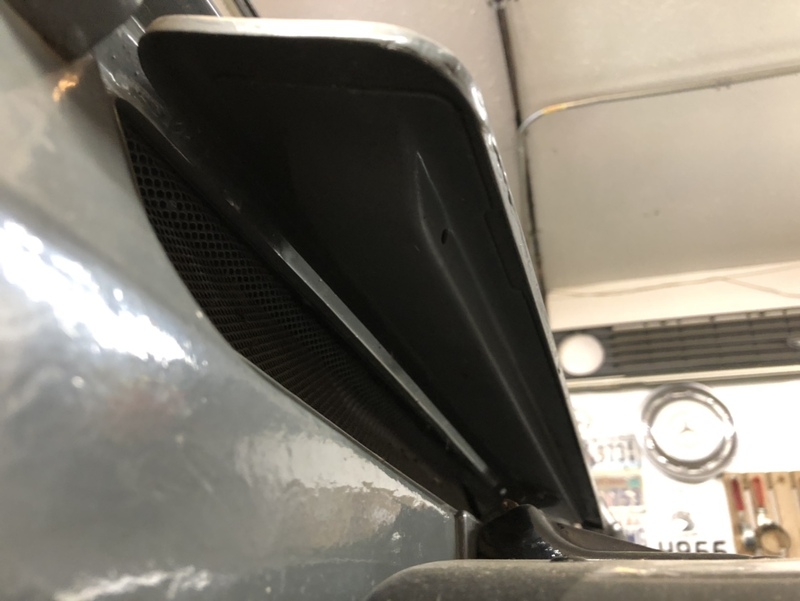 The battery is inside the truck in the center console. 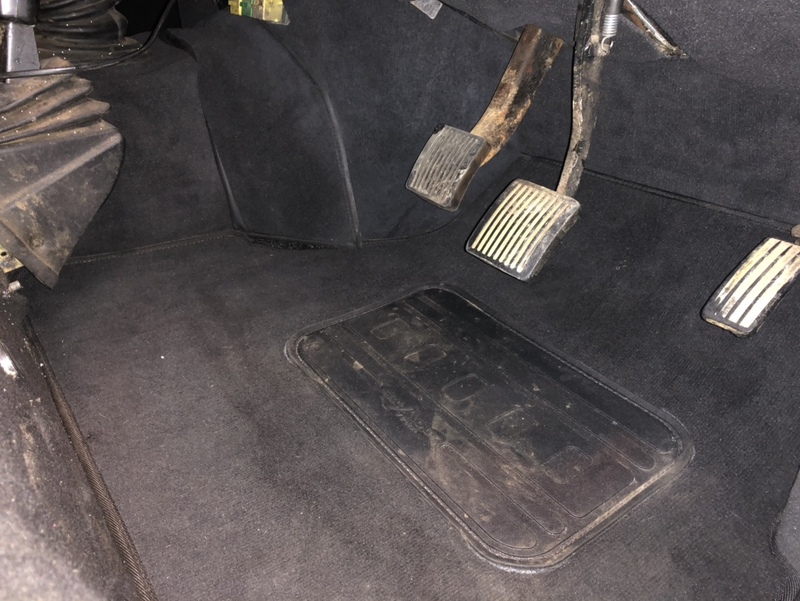 But that’s a lot better then where they usually are under the seat. 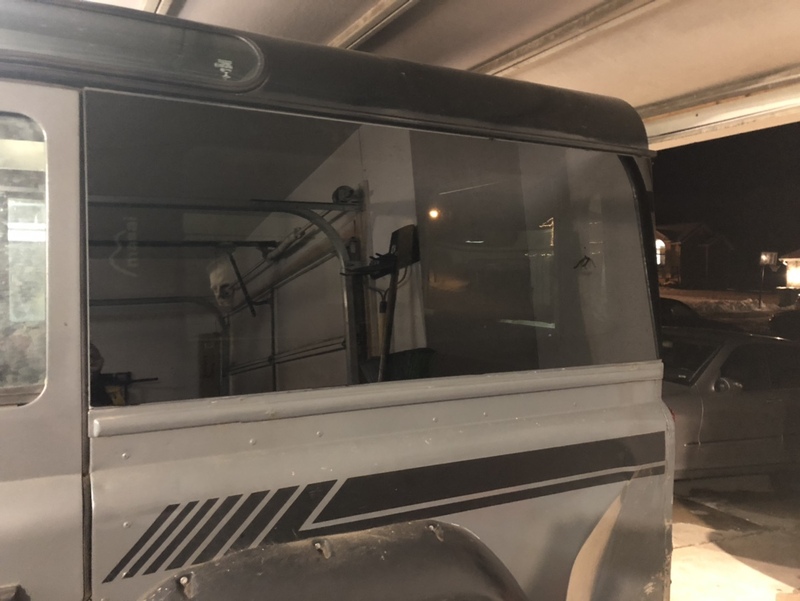 I may be adding one under the hood so it’s easy to hook the winch to it. 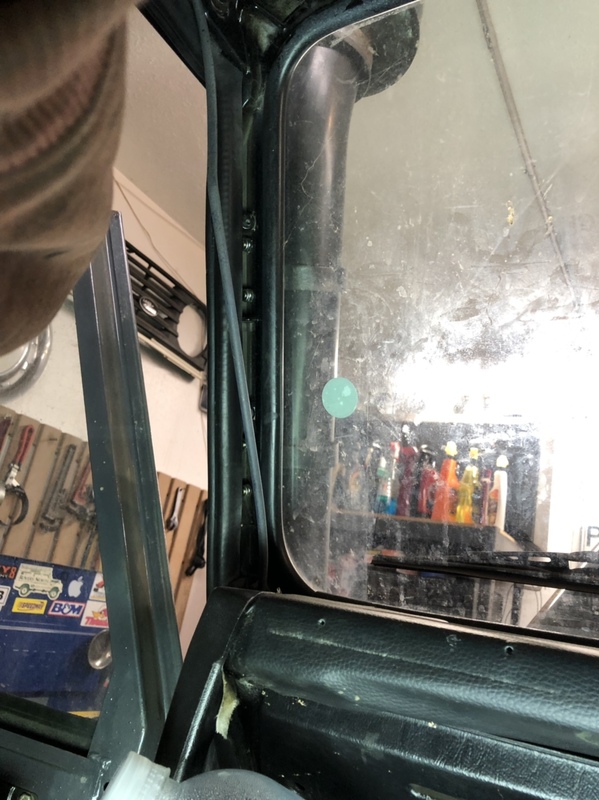 I also replaced the rear glass in the rear door. And installed the door card for the rear door. I’m pretty much out of parts already. 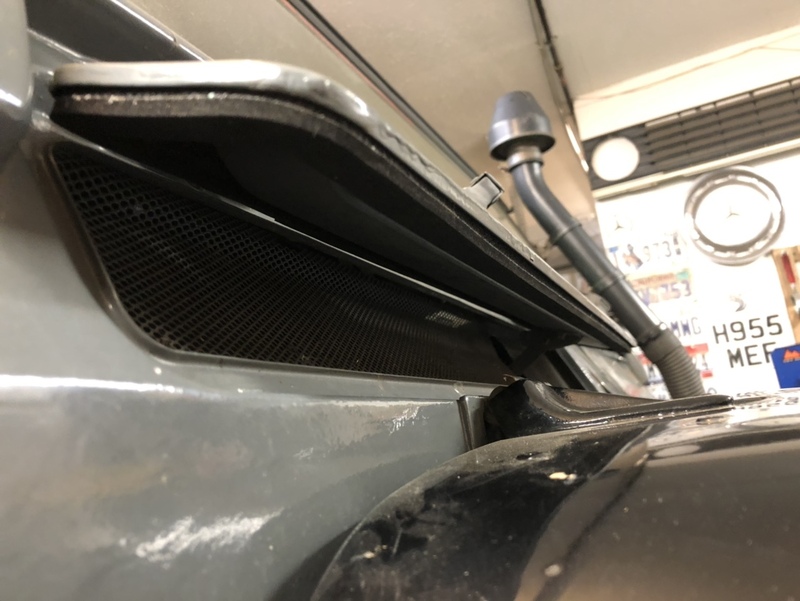 Except for the other door cards. But I forgot to order the plastic door card retainers. So I ordered those. I also ordered some door lock parts and door handle parts. And then some fender chewier plate. And to finish everything off. A silicone intercooler hose kit and radiator hose kit. Should all be here by Tuesday. 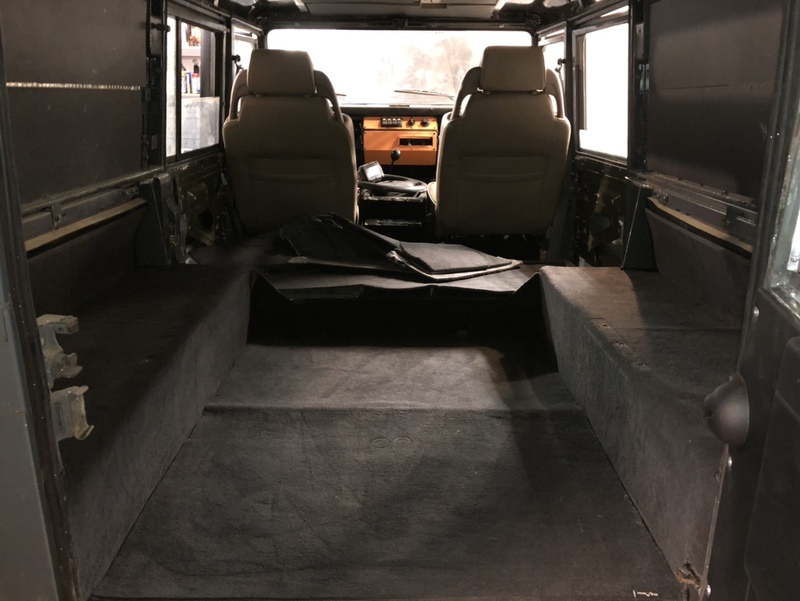 And then all I have left to do is install the rear seats, and some sort of rear locker. 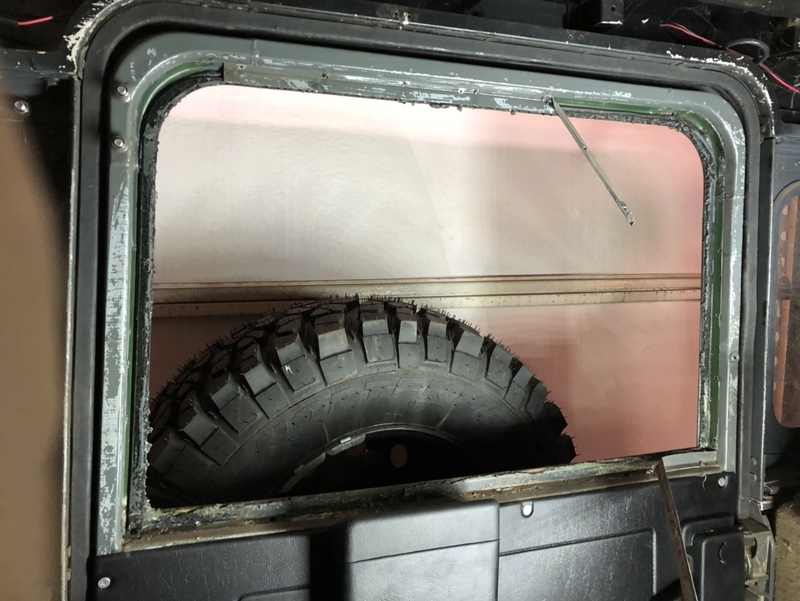 Whats a good rear locker for the salisbury axle? I'm thinking about running a Detroit. Hoping to have it all mostly ready to go next weekend. 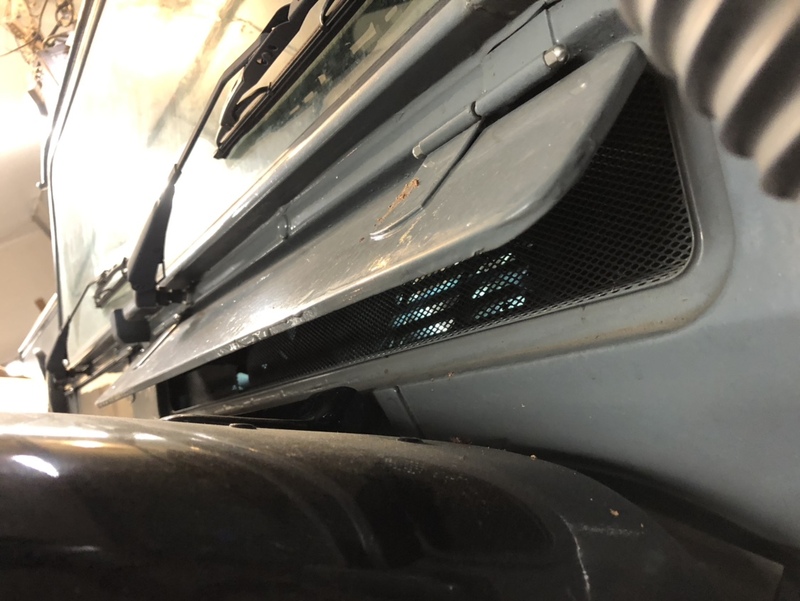 For my dash vents, I used a combination of the series III seals and the Defender seals. That seemed to actually work. Doors still leak of course. I run ARB lockers front and back in my 110. As you know, they are a pretty tried and true solution for the Salisbury axle. If you have the budget, why not? Also it’s a universally recognized upgrade if you ever resell the truck. And you get onboard air. In no way am I saying it’s “better” than a Detroit, etc. just talking perception. Spent last night fixing the door windows and putting in all the window channels properly. Nothing really exciting to show in those pictures. 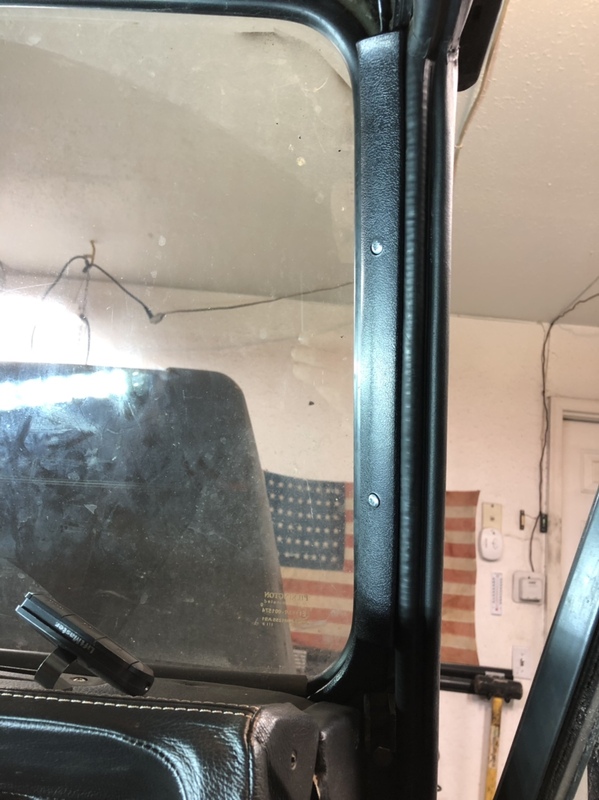 I welded on some new tabs to mount my 9” led lights. 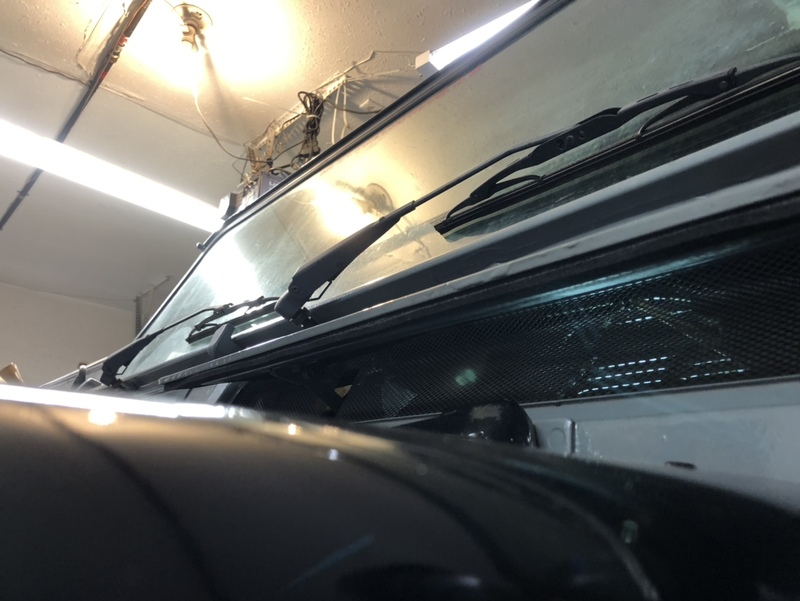 The original mounts on the bumper were only spread far enough apart to mount 5” lights. And we all know bigger is brighter. Like a collapsed sun. I had a 300tdi when I lived in Tanzania. Complete rebuild after rollover. 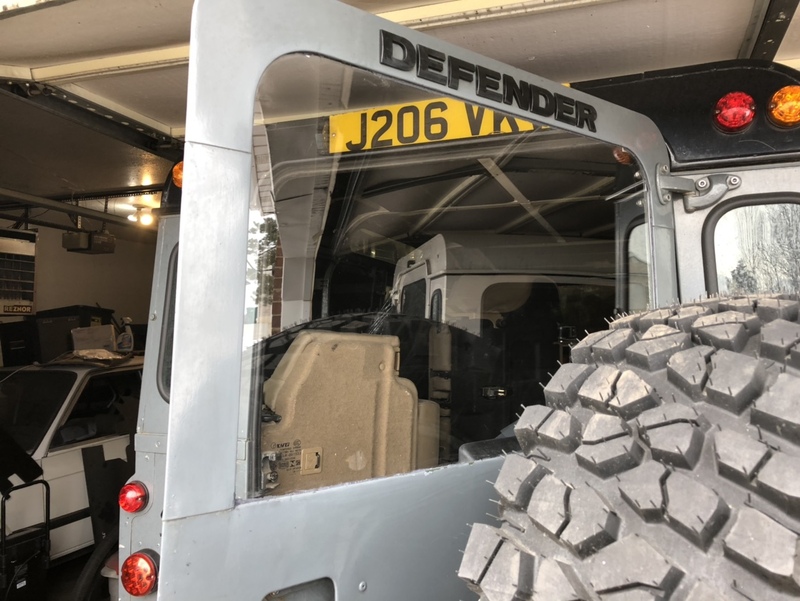 Don’t Americanize the defender too much, it will always be loud, always leak oil and always leak at door seals, English call that “character” . keep it light as possible, it will perform better. Be careful on parts, some real out there. 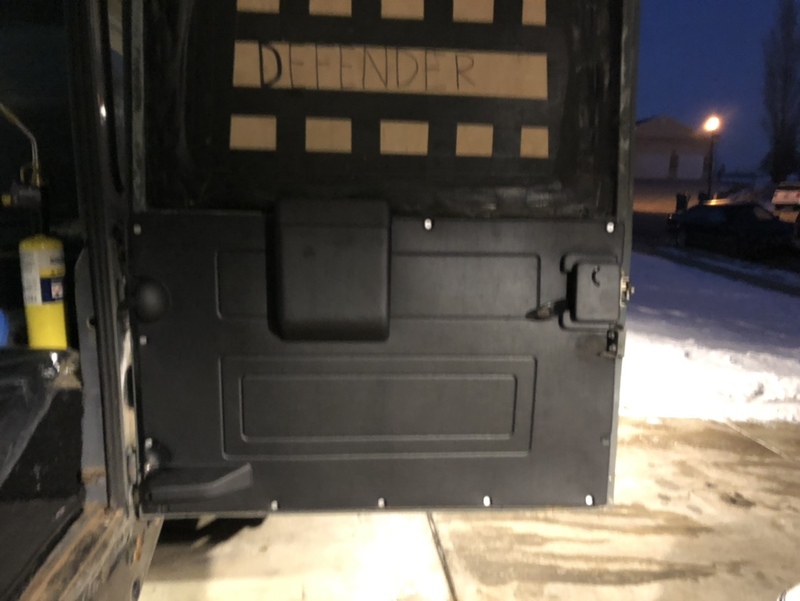 I built sill protection from heavy rectangular tubing with lighter gauge piping for steps, rectangular tubing doubled as my air tanks and steps provided needed sill and door protection. Built strong enough for highlift jack points. 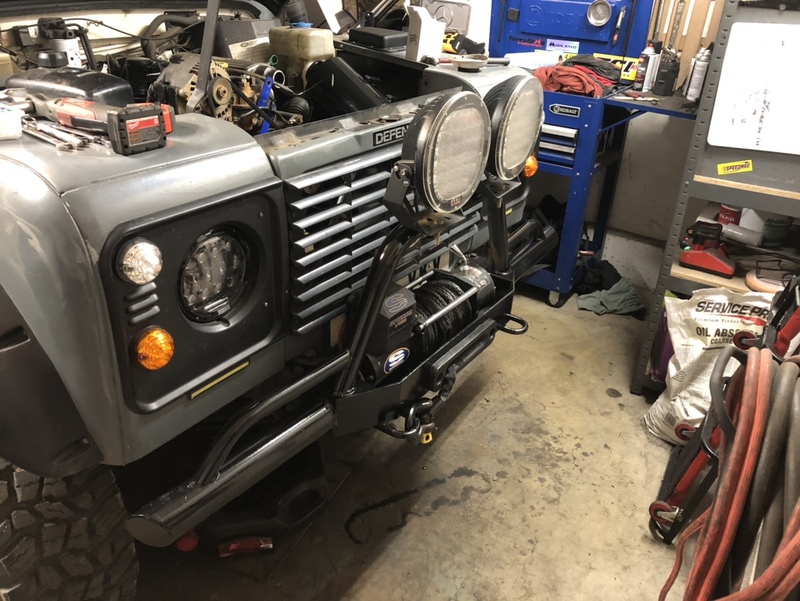 Landers are awesome off-road but crap on reliability, need constant maintenance, luckily most can be repaired in the field with basic tools. Land Rover motto..if you have to ask why I drive one you wouldn’t understand if I told you. 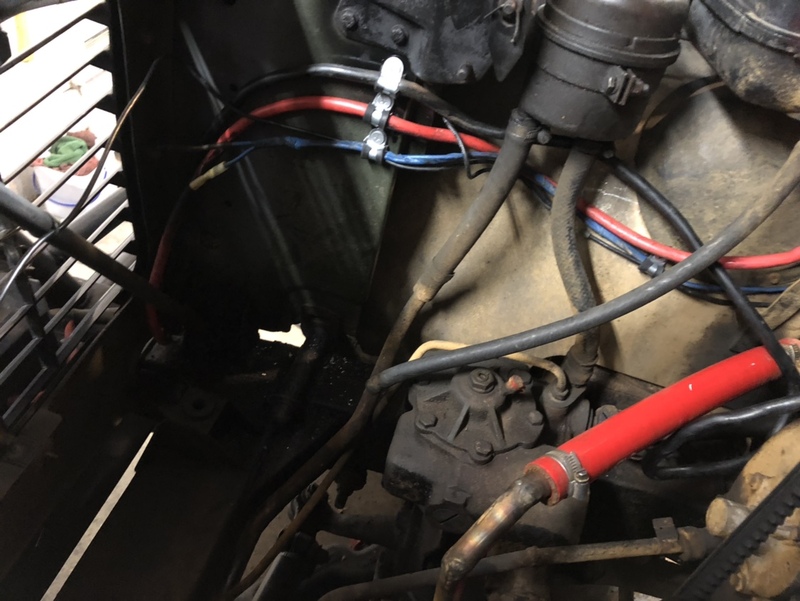 Ps, carry 8’ 14 g wire, if you ever run into electrical trouble, disconnect electrical, run 12v fuel shutoff directly off battery it’ll get you home. It’s all about knowing your rig. But the timing belt advice is sound- not only does it fail at mileage, also at age. So even if it’s only 1000 miles, if it’s four years, or so it should be changed Also the tensioner if you don’t know it was changed. Tensioners kast a few belts but you need to know where you start. 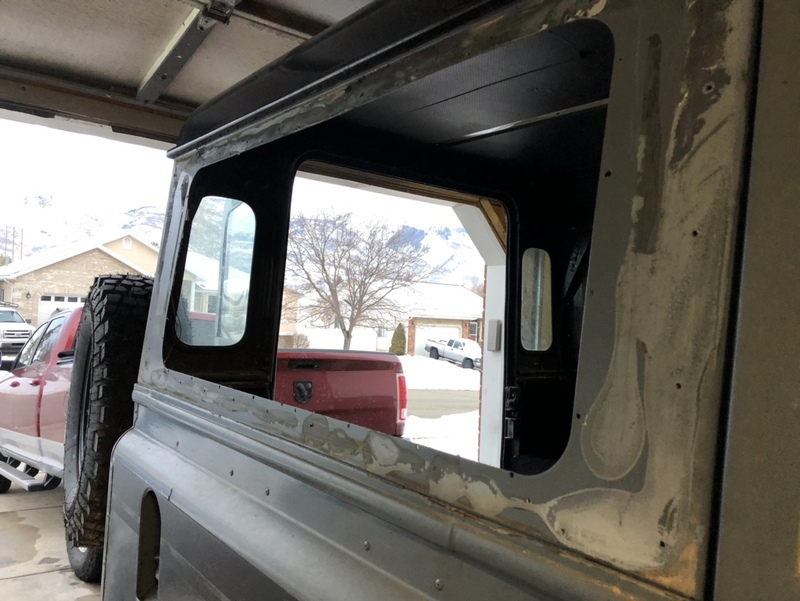 Ok. Rear glass install. A bit stressful but it went well. Unfortunately we thought this was a complete kit. But the damn Brit’s got us again. 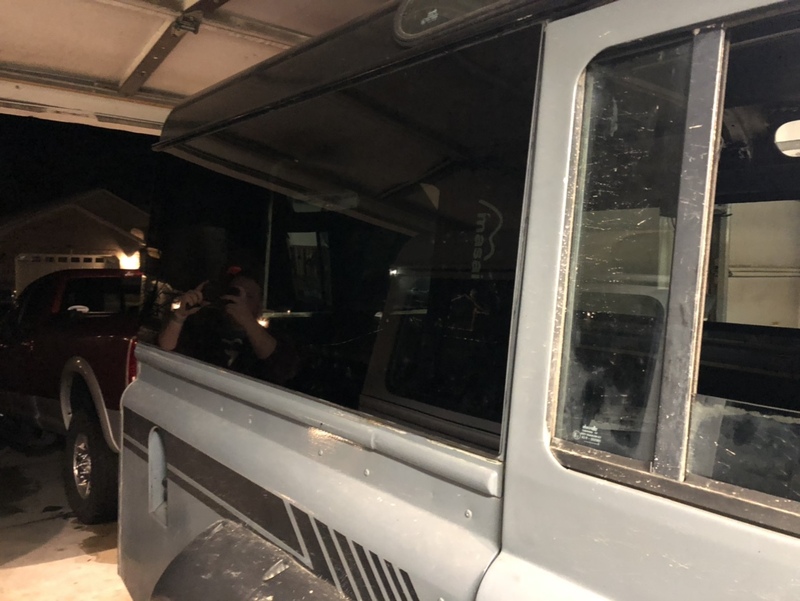 Had to order the rear quarter glass. It’ll be here probably next week. It should be much easier to install though.